Under the technical tab on the extractor product pages you will notice an extraction rate, measured in m³/hr. This means that the extractor will remove, for example, 690 metres cubed of air from the kitchen every hour. 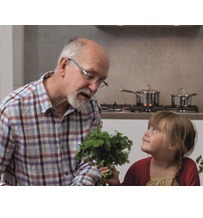 Simply put, the number is the cubed metres of air that your extractor can process and clean in one hour. As you can see, the cubed metre ‘capability’ is far higher than the size of an average kitchen in the UK if you think about how big your kitchen is, CDA extractors are extremely effective in keeping the average family home clean and fresh. What extraction rate do you need: Does this depend on kitchen size? 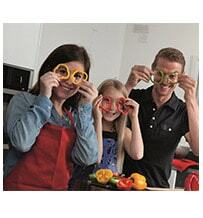 How much extraction power do you need to effectively remove steam and cooking smells from your kitchen? The average size of a kitchen in the UK is 25.6m3. 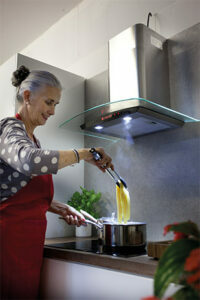 Our lowest extraction rate is on the integrated cooker hood model CTE6 at 168m3/hr. As you can see, this is more than enough to clear your whole kitchen atmosphere in just over 5 minutes. Our most powerful extractor, the EDD9, has an extraction rate of 757m3/hr. 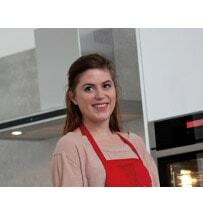 This model would take just 2 ½ minutes to purify the average UK kitchen. 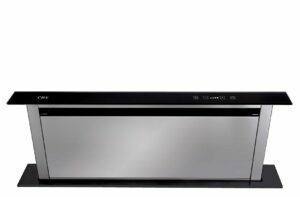 Basically, we are reassuring you that the entire CDA range of cooker hoods is powerful enough to cope with your domestic kitchen extraction requirements. So the choice just comes down to your installation and style choice. How does duct out differ to recirculating air: What does this mean? Ducting to the outside will expel all the extracted air through the ducting system out through an exterior vent in the building. This is the preferred method of installation. If this is not possible, charcoal filters can be installed to allow purified air to be recirculated back into the kitchen. The air is then extracted, filtered and recirculated. 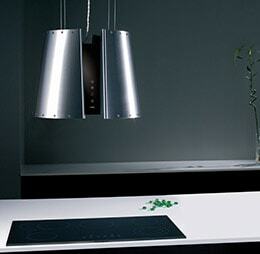 Our most powerful cooker hoods are the downdraft models that slide away beneath your work surface when not in use. 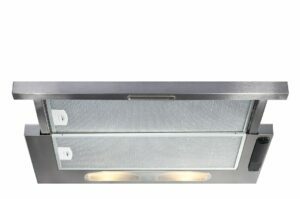 A downdraft extractor is ideal for when you are looking for an uninterrupted line throughout your kitchen or don’t want something fixed to the walls or ceiling. Typical extraction rates on our downdraft models are between 600 -760m3/hr. 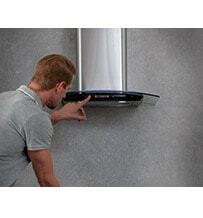 Ceiling extractors are ideal when you don’t want to fix your cooker hood to the wall. With remote controls and real statement design, a ceiling extractor really makes a stylish feature of a functional kitchen necessity. You can expect extraction rates on these models to range from 320-690m3/hr. 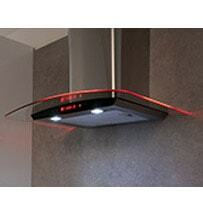 Our largest selection of designs and styles is in the chimney & island hood category. Ranging from traditional styles to edge-lit, curved glass and even cylinder models, the extraction rates here can range anywhere from 350-450m3/hr. The compact integrated extractor collection comprises just a few essential models that are perfect for installation under cupboards or in structurally built cooker areas. Designed to be practical and efficient, extraction rates on these models are around the 200m3/hr mark.